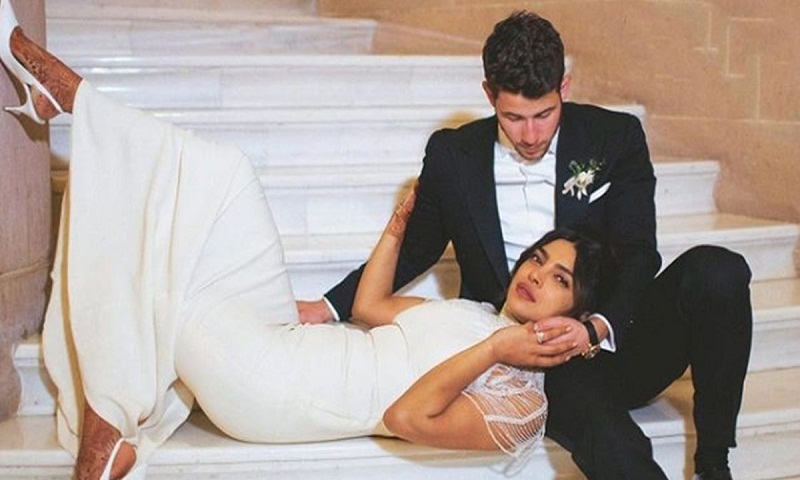 Actress Priyanka Chopra, who married American singer Nick Jonas in December, revealed that she always wanted to add her husband’s name to her own. Immediately after their wedding, the Bollywood actress changed her Instagram handle to Priyanka Chopra Jonas, report The Statesman. The Quantico star opened up about her decision when she appeared on The Tonight Show Starring Jimmy Fallon. The actress believes adding Jonas to her name doesn’t “take away my identity”. “I always wanted to add his name to mine because I feel, like, you know, we are becoming family. And I’m a little traditional and old school like that,” Priyanka said. “It doesn’t take away my identity. He gets added to who I am,” she added. Recently, the 36-year-old actress shared a series of pictures of her enjoying the Superbowl weekend with Jonas. On the work front, Priyanka will be next seen in a Hollywood romantic comedy, Isn’t it Romantic? Directed by Todd-Strauss-Schulson, the film is scheduled to release on 13 February 2019 in the US. She will also star alongside Farhan Akhtar in The Sky is Pink, which is helmed by Shonali Bose.